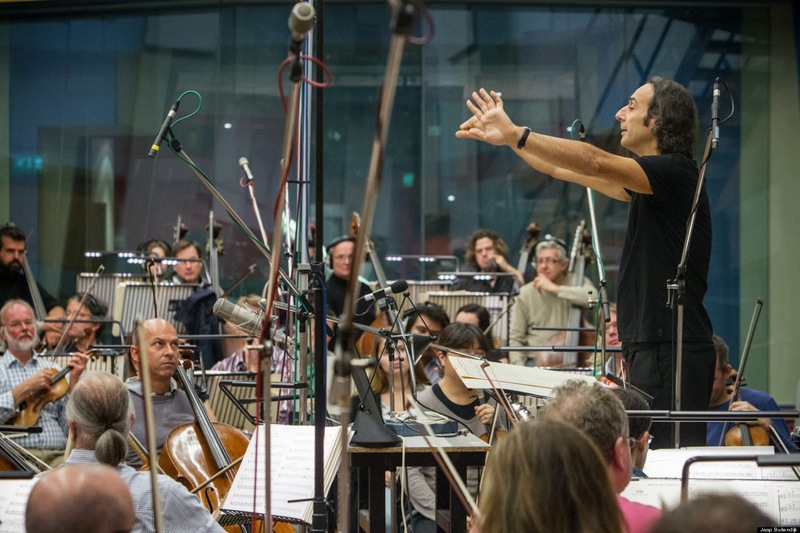 My favorite film composer Alexandre Desplat celebrates his birthday today. What makes the Frenchman my 'favorite' film composer? His Oscar-winning scores for Shape of Water and The Grand Budapest Hotel, 7 additional Oscar-nominated scores: Imitation Game, Philomena, Argo, Isles of Dogs, Unbroken, Philomena, The Kings Speech, Fantastic Mr. Fox, The Curious Case of Benjamin Button and The Queen. This year's likely nominee, Isle of Dogs. 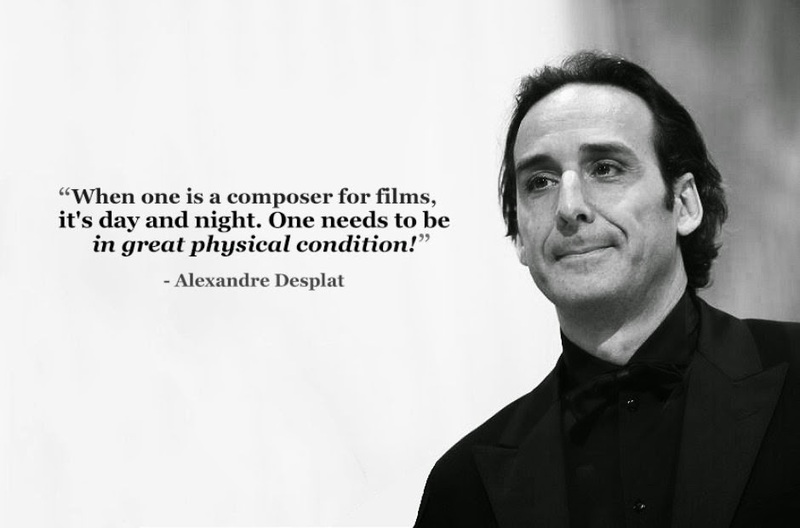 Add in the fact that Desplat is French and speaks in beautifully accented English puts him at the top of my list. And makes the interview below more than worth listening to. I'm hoping some of you share my fascination with those stars who work behind the scenes to make our favorite films, just that, our favorite films. If so, I think you'll enjoy this look at Desplat sharing his approach to composing for the cinema. He's incredibly prolific; as he says in the video chat, composing music is ALL he does. The list of his credits which also includes The Monument Men, Zero Dark Thirty, The Light Between Oceans, Unbroken and The Danish Girl is so diverse and exhaustive I can't even begin to list them all, instead here's the link to his imdb.com page. If you're not familiar with his work check out this beautiful sampling of his music created by a fan. I think this is a definite connection to France, cause he's French! Thanks for playing along. I heard a story on NPR, maybe on Saturday, but the music score for the The Homesman. Don't know if that was a book first, but the info on the score was fascinating. This was so interesting! And yes, wonderful accent! So glad you enjoyed it; I tend to go a little overboard where his music is concerned.